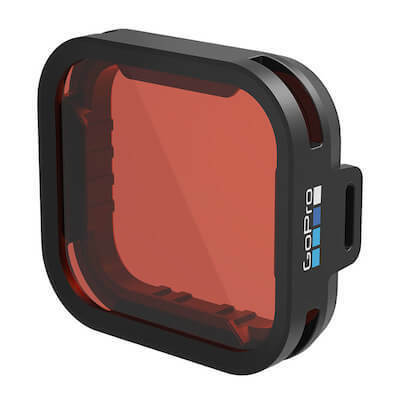 The Blue Water Dive Filter for Super Suit housing for HERO6 Black and HERO5 Black provides color correction while capturing footage in blue water at depths of 15 to 70ft (5 to 21m). Its red color is ideal for blue water. Constructed of scratch-resistant, optical-grade glass for optimal image clarity. Includes a microfiber bag and tether.